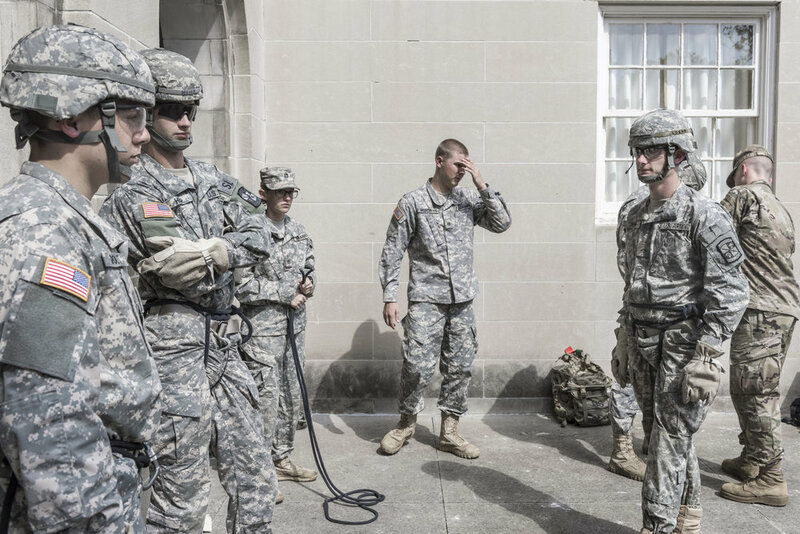 The Reserve Officers' Training Corps (ROTC) branch at Ohio University practices and teaches repelling safety outside Bentley Hall on Septmeber 20, 2017. Harold Blazier, Manager of the Ohio Unviersity botanical garden and greenhouse, tends to his carnivous plants on Wednesday, April 5, 2017. DJ Fuller, a mother of seven adopted trauma children, holds her youngest son Levi in her arms at their home in Amesville, Ohio. A pigeon remains trapped in a third story window in a cramped alleyway in Pomeroy, Ohio. It appears motionless as it frantically hovers above the corpses of other birds hoping to find the way out. 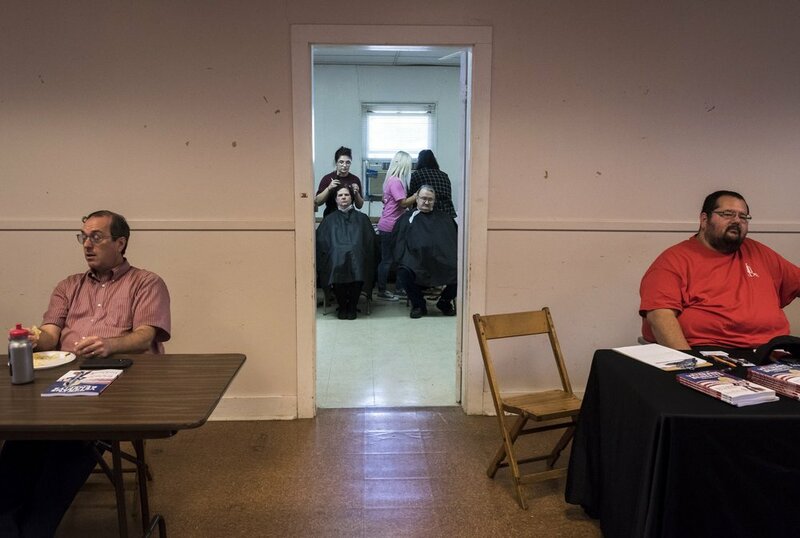 Haircuts are given to the homeless and people at risk of homelessness during the Athens Area Stand Down event on Friday, October 6, 2017. Rachel Bendler, co-owner of Bella Run Equine, shows her husband Zach how she taught their new pet pig to sit on Monday September 12, 2016 in Athens, Ohio. Tim Dailey holds out his hands after working on a car in his dad’s auto body shop in Cynthiana, Kentucky. 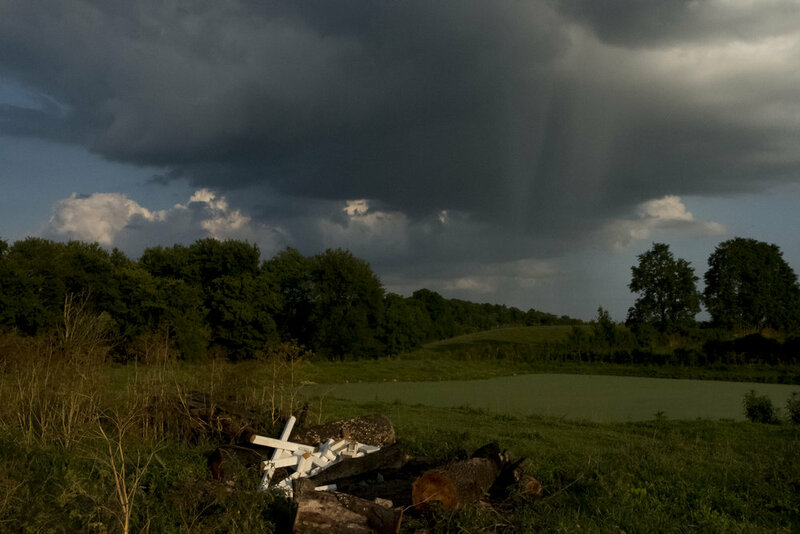 A scene from Boyd Station, Kentucky. 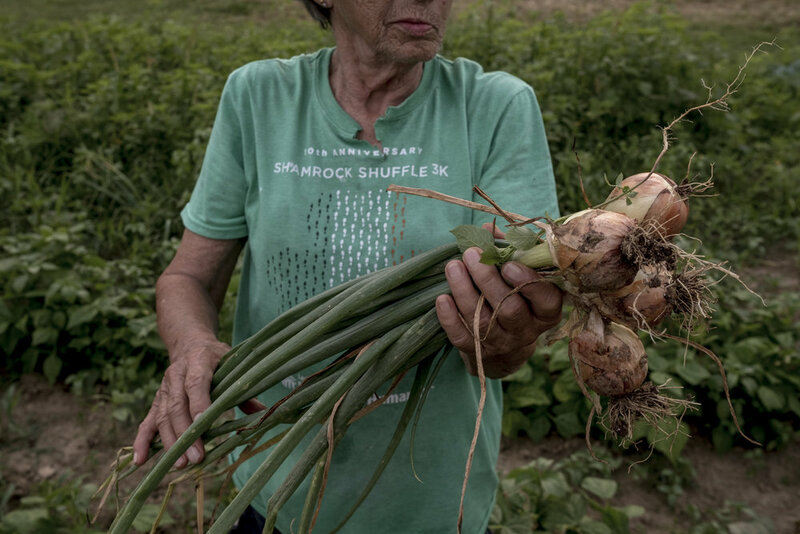 Mary holds up a fresh batch of onions that she had just picked from her garden at home just outside of Cynthiana, Kentucky. An Athens City Police Officer begins to shut down a house party during Congo Fest at Ohio, University. The sunrise hits the top of Sequoia National Park's skyline in Lone Pine, California. Rising Star Acrobatics preformes a traditional Chinese fan dance during the Cleveland Asian festival on May 20, 2017. Residents of Pomeroy, Ohio help out family members and friends after experiencing another devastating flood in 2017. Volunteer firefighters hose off the streets in Pomeroy to try to wash away some of the resting water still on the roads. Rob Phillips, owner of RL Valley Ranch, stands up from his desk after calling clients all morning long. Construction workers finish putting new siding on to a house located on Franklin Avenue in Athens, Ohio on October 2, 2017. Athens Firefighters gather around a flipped over car on Morris Avenue on February 9, 2019. An Athens City Police Officer walks through a crowd of Ohio University students announcing that every has to leave the premises immediately.